#1 Choose your outfit For me there are two ways in which my outfit photos are taken- I either take camera with me and ask ( really nicely) someone with whom I am together that day to take pictures of the outfit I am wearing, or sometimes I organize a little photo shoot of an outfit that I have already worn, but didn’t get the chance to take my outfit pictures or it might be a future outfit or combination that I have not tried yet. Usually I try to showcase the newest items in my closet or an item that I have received courtesy of fashion brands. #3 Choose your location I usually try to find a location that in some way relates to my outfit, for example, if I am wearing high heels, skirt and a blouse, I most probably wont go to the forest or the beach to take my outfit pictures, but rather somewhere in the streets, most preferably in the city centre. But mostly I will choose a street or a path, preferably with some trees or something neutral in the background. The biggest mistake a lot of people assume is that you can take the best pictures in midday when it is really sunny outside. Actually the best lighting is either in the sunrise or sundown as the light is very gentle and soft opposite to the bright midday sun. I don’t always have the pleasure of choosing the timing of the photo shoot so I will take pictures even in the midday’s bright sun. In this situation I will try to find a place with shadows and face the opposite direction of sun as that way my face will not be too bright and I might even have some nice rays of sunlight playing in the background of my picture. #4 Take pictures There isn’t the perfect amount of pictures you should take in one photo shoot. But I would suggest to take more than less, because you don’t want to end up with few pictures that you don’t like. Therefore, I usually have approximately 50-80 pictures on my camera, of course, you have to vary your pose and face expressions as ending up with 50 pictures that look practically the same won’t work either.At first I usually ask my photographer to take vertical full body and half body pictures. Then I ask him/her to switch it up and take some horizontal pictures as well ( that way you can show off a nice location) and lastly I will ask to take some detail and portrait pictures. #5 Sort out and edit the pictures In my computer I usually pick out 15-25 best pictures that I have loved from the photo shoot and mainly edit them in Photoshop CS 5 ( my favorite version). The main thing I will always adjust in the pictures is the brightness and contrast, I will also play a little with curves and levels. Mainly I use some curves presets ( for example, like from this site) or actions that I have downloaded for free from the Internet, for example, I found the WishWishWish actions that I manually adjust in my photos. I am a big perfectionist when it comes to editing my photos, therefore, I can even spend hours on just 10 to 15 pictures! Other programs that I use are Photoscape, Toycamera, and Pickmonkey! In my blog posts I pick only 8-10 pictures that will create the story of the blog post. #6 Upload the pictures The easiest way for me to upload the images on the Internet is through Flickr, because before uploading them completely you can easily change the names of the pictures which is extremely important if you want to increase the traffic to your website via images. For example, I usually name my pictures like fashion-blogger-from-latvia, call-me-maddie-fashion-blog etc. That way when people will type something in the search bar on Google or on other site and search for images, they will be able to find your picture that will lead back to your site. If you will leave the image with name IMG003794, Google will not be able to recognize this picture. And you will not reach the target market you could have reached by using the ALT text or the name of the picture. So the new size of the picture is width=”683″ height =”455″. You can use any numbers you want or have, just remember the formula and the picture will be in the width you want it to be! 🙂 Let me know if you need a little more explaining! #8 Order the pictures It is very important to establish and order of your pictures in the blog post. The first image you choose has to be the best picture you have, because it is the picture that will show up on different sites ( for example on Bloglovin), so you have to make sure that it is interesting and compelling, because you can have one hell of a blog post, but if the front image will be lacking, no one will ever find out about the whole post! When I am ordering my pictures, I try not put two similar pictures together, but to differentiate the whole flow, for example, a full body picture> detail picture>half body picture etc. #9 Choose the title Choosing the perfect title is also a very crucial part if you want to attract more new readers. The title of the blog post has to be relevant to the content, because otherwise you’ll be misleading your blog’s readers. Even though, lyrics of songs, sayings or witty sentences are a nice way to name your blog post, I wouldn’t recommend them, because it reduces the chance of new readers coming to your blog post through search engines ( Google, Yaho, Bing) via the name of the title. I would suggest to describe your blog post in 3-5 words that are engaging or intriguing. For example, My guide on…How to style a… etc. because usually when somebody is using search engines they want to find answers to their questions, therefore, make your blog post title the answer. 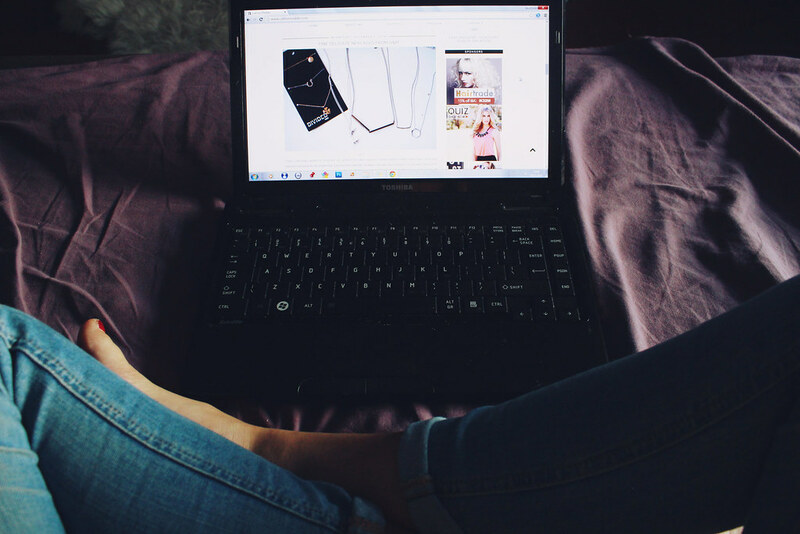 You can also use a brands name in the post title, for example, Little black dress from Zara, Faux leather jacket from H&M etc, because associating your blog post with the name of the brand will make your blog post a little bit more noticeable and search engine friendlier. #10 Write the text Even though, a picture is worth more than thousand words, the text you write establishes your blog’s personality. It is the best way to communicate with the audience and make a connection with them. In my outfit posts I usually ramble about something that has been happening in my life lately as I want to share with you not only my fashion sense, but also my personality, my struggles, my happy and sad moments, because I want my readers to know that I am a real person as well. I also write about the outfit I am wearing, I am mentioning the brands from which the clothing is, I am writing my opinion of clothes that I have received courtesy of different brands and so on. But besides all that, before you actually write down the text, write down on a sheet of paper some keywords that would also make your blog more SEO friendlier. Just think of things that you usually search on Google ( of course, relevant to the blog post) and place the keywords throughout your text! #11 Links In almost every post I use links that direct to some clothing items I have worn in the outfit, Adding links is important because Google and other search engines can also more easily recognize your blog ( because of the link cloud you are making around your blog) and also because a lot of readers might be wondering about the items you are wearing! It is not a secret that a lot of bloggers earn revenue by using links that are generated with affiliate programs. There are so, so many of them out there, but I will name 2 of them that I am currently using. 1) Shopsense– if I use Shopsense generated link, I will earn a little commission just per a click that one of readers has done (CCP- cost per click). I use Shopsense in my Wishlist page & when creating the Shop similar widget in my outfit posts. 2) Skimlinks– if I use Skimlinks generated link, I will earn a commission if one of my readers has bought something via that link (CPA- cost per action), the amount of commission I receive depends on the amount the reader has spent. I use Skimlinks in my Ebay bargains posts, therefore, if you order something via link that I have given on that post, I will receive a small commission. I only use these links if I would buy the item myself or if I would suggest to someone close to me. I just want to be as transparent as I can when it comes to using affilliate links as I wouldn’t want to mislead you in any kind of way. #12 After publish networking By networking I mean using the social media. In order for more people to read your blog post you have to promote it as well. This is the area in which I am a bit lazy as after writing the blog post I am a little bit exhausted and I sometimes tend to ignore the social media, even though, I definitely shouldn’t. The main social media accounts to promote my blog are Facebook, Twitter and Instagram. On Instagram and sometimes on Twitter I use hastags #, for example, #fblogger (stands for fashion blogger), #personalstyle #ootd #fashion etc as that way you can build your audience and meet same minded individuals! Another tip would be to use @, for example, tag a brand if you are wearing something from their shop, because that way you are not only giving the love to the brand, but in a lot of cases, the brands are giving the love back by favoriting or retweeting your tweet or regraming your picture on Instagram! And as brands usually have a big fanbase as in followers, imagine being exposed to hundreds or even thousands of new potential readers! In order to grow your audience I would also suggest connecting with same minded bloggers, for example, writing a comment on their blog post- a lot of us like to return the favor, therefore, you not only gain one potential reader, but maybe few or even dozens more that might have read the comment you have left. But, of course, write a comment that is genuine and unique, don’t write vague words like: cool!, great post! etc and definitely don’t spam! Whoa, this turned out to be a really long post ( it took me more than 2 hours only to write it)! I hope you enjoyed this post and maybe found something useful! Definitely share your tips and tricks on the topic of writing a blog post! ps I noticed you made some adjustments on the layout, too beautiful! Love everything that you mentioned! You hit the nail on the head when it comes to fashion blogging. We plan our outfits in such similar ways 🙂 My favorite tip is #10 – writing is SUCH a huge part of blogging, even fashion blogging. It's not ALL about the pictures and I love that we're on the same wavelength! Great tips! I totally agree that posts look better when pictures are all the same width! Hey Maddie! Thank you so much for this post, I don't even think you know how extremely helpful it is. It's so genuine, and talks about things that people may take for granted and also points out tips that people don't always say (over and over again). It's funny because in a really blogger friendly way you mention stuff that helps with SEO and other related matter. I love your tip #6 ! Kad tikko saku blogot, man liekas.. kadu gadu man pilnigi nebija ne jausmas ka ta lieta darbojas, es to dariju, jo man gribejas, tad pamazam man paradoijas komenti un es sur tur izliku savus ootd bildes, bet es nekad ta neesmu piedomajusi baigi par marketingu un piesaistisanu apmekletaju. Sai zina tu esi loti organizeta. Malacitis. Varbut kadreiz ari es izdomasu ko tadu izdarit. It usually works the same way for me, I however prefer to edit and resize photos with programs I have offline, since I usually adjust many things (haha I don't make myself thinner though =P). And I never share my outfit posts, since I don't have any dedicated social media pages and accounts and I don't want to spam people on my personal account. So I only share posts with useful tips or science-y things. Hi Maddie,,love your new layout ..
At the beginning is not easy and was fantastic if I had this post before so I could learn fast! when you break it down like that, it looks like quite a lot that goes into each post! great post! Excellent tips! I have a similar process, but with beauty products instead of fashion. I would love to be able to do fashion posts like you do one day! Amazing post! I don't think people realise how much effort goes into outfit posts, especially ones with photography in them. Lots of behind the scenes work. You've created a great guide and your tips are useful. I like the new layout. 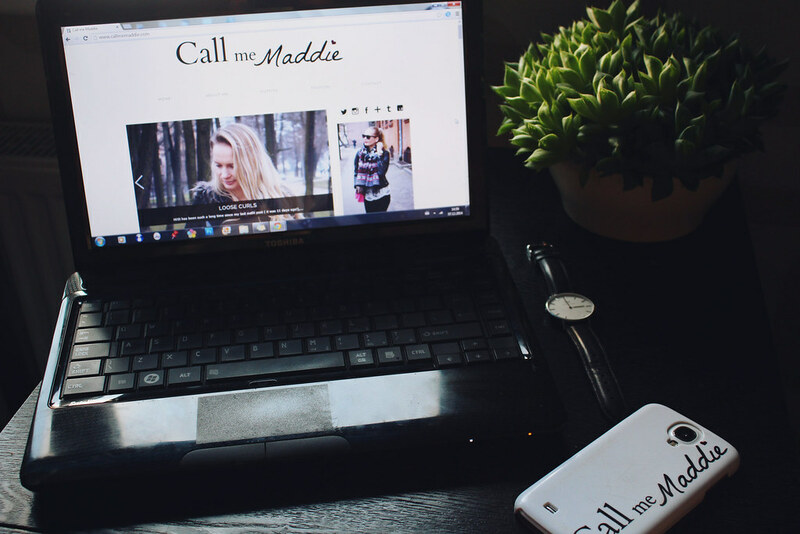 Awesome post, Maddie- love hearing your process! I'm going to save this entry because it's very insightful. I found that there are many people who like to share blog advice but are sometimes vague about what they say as to not show their secrets. This is great!